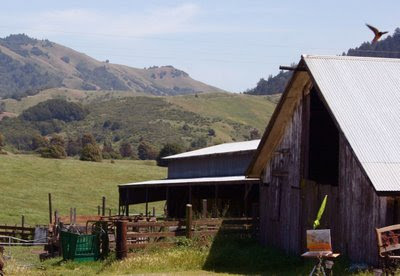 The "Art on the Farm" group ventured out to Nicasio, California today to Lizzie Daniels stunning property, "Cow Track Ranch", just past downtown Nicasio and the Nicasio school. It was a sunny, 64 degree day, with light winds, and perfect weather for outdoor painting. 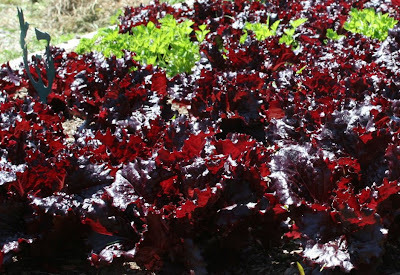 Lizzie boasts of her Marin County Fair "Best of Show" Merlot Red Lettuce(photos below), and it was a sight to behold, growing all over the property, surrounding the barns, amongst the roses, and in the new greenhouse. 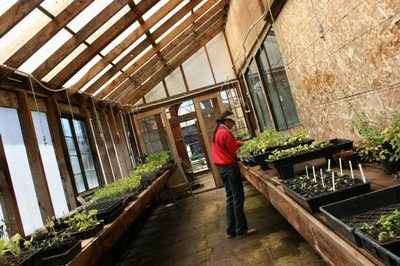 Liz offered a tour of the greenhouse, where she grows all varieties of organic vegetables and herbs that are sold to businesses such as Cowgirl Creamery, and Cafe Reyes, in Pt. Reyes Station. Liz recently provided the newest restaurant, also in Pt. Reyes Station, Osteria Stellina with lettuces and produce. 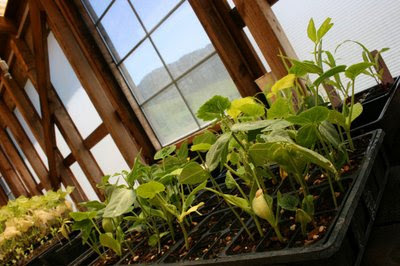 Cow Track sells organic seedlings/starters to Local Flora, and to several school gardens in West and Central Marin County. 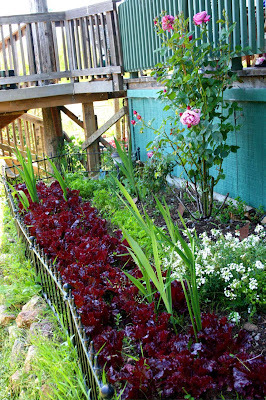 "Cow Track Ranch" Organic, Merlot Lettuce, is a dark, burgundy color. 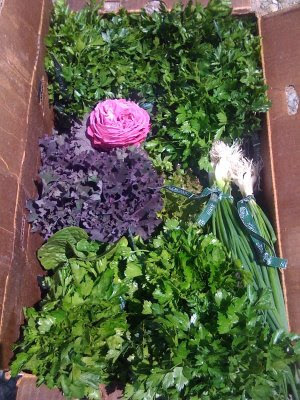 A produce order that was delivered to Osteria Stellina on Mother's Day. 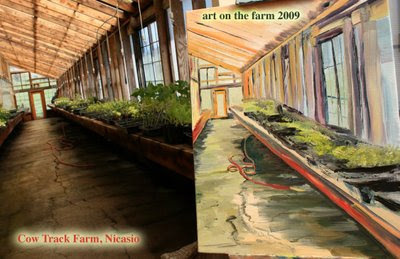 A plein air start in the greenhouse, by C. Proppé. 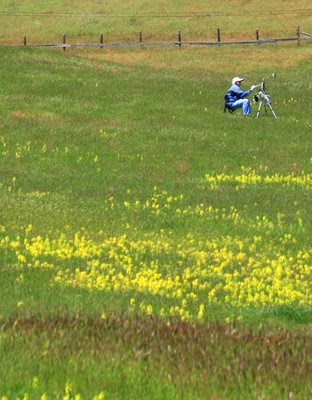 Dominique Caron en plein air with umbrella at Cow Track. 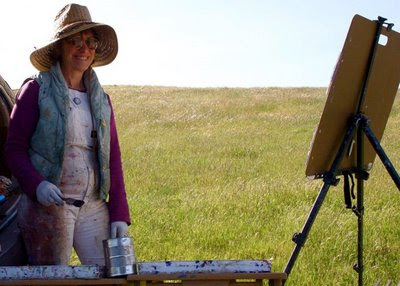 Donna Solin paints by Cow Track Pond. 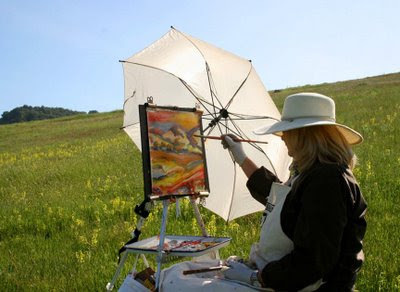 Ruby Newman, in faux finish attire, happily paints en plein air today. 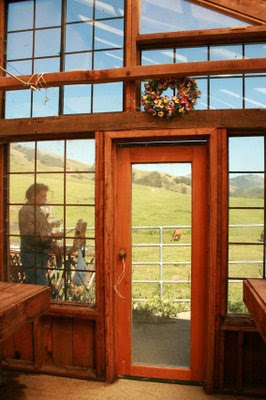 A view through the greenhouse, spies; Richard Lindenberg and a grazing horse. 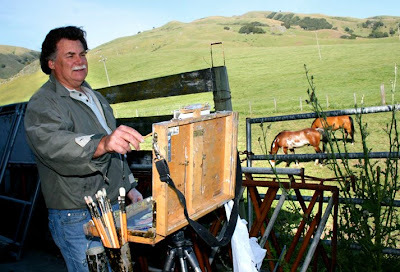 Richard Lindenberg, "paints with horses", outside the new greenhouse. An easel by the barn; right corner. 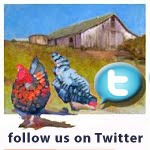 Click to enlarge & view painting! 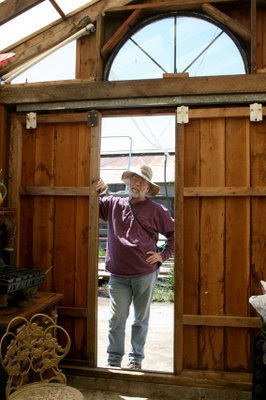 Fearless Artist Organizer, 2008-2009: Larry Bryson. 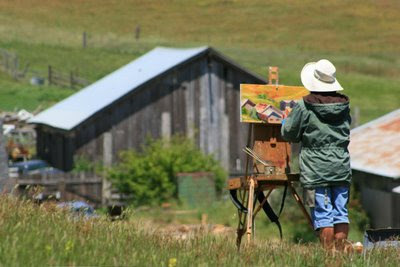 Artist, John Deckert, outstanding in the field, at Cow Track Ranch.